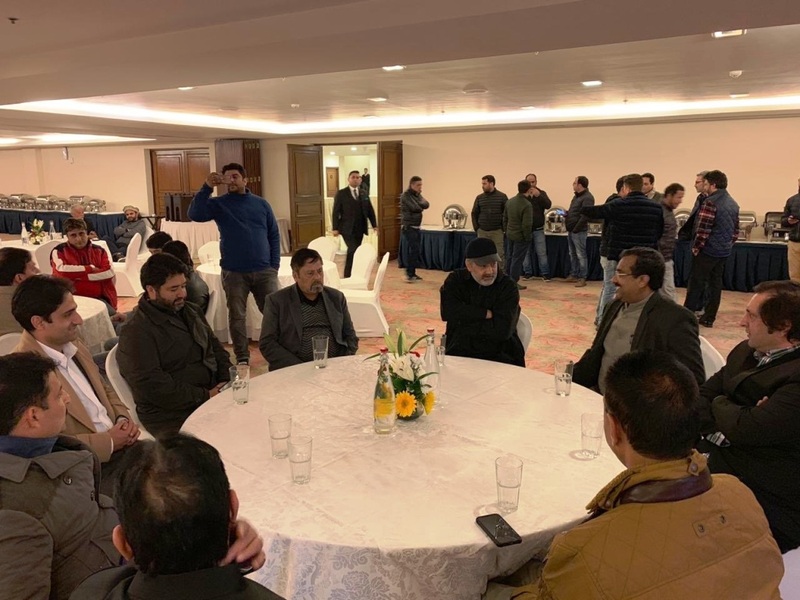 SRINAGAR: The Bharatiya Janata Party (BJP) general secretary Ram Madhav on Thursday landed in Srinagar to meet and interact with the Sajjad Lone team. He met newly elected Mayor SMC Junaid Azim Mattu, and corporators in presence of Sajad Lone, Imran Raza Ansari, Abid Ansari and other members of the Peoples Conference (PC). The dinner was hosted in Hotel Taj Viventa Srinagar. “Rise of young leaders in mainstream India. @sajadlone @imranrezaansari @YasReshi,” he wrote. Reports said that some leaders of BJP may also call on Ram Madhav to discuss post municipal election scenario and the preparedness for Panchayat polls in the state.